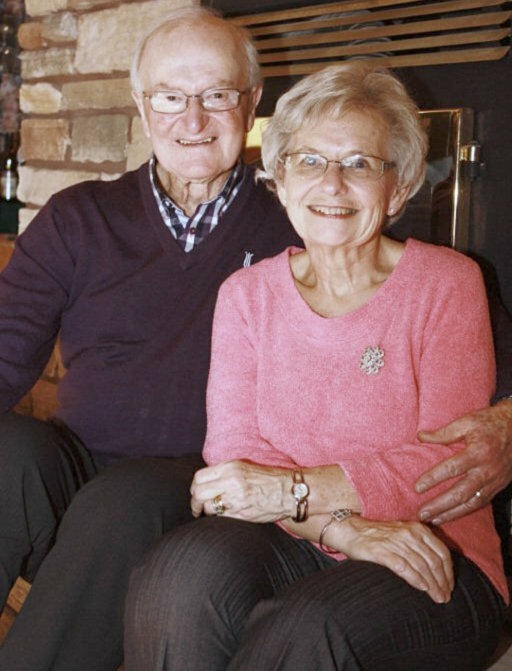 Bert and Marilyn Peel are the proprietors of Riverwood Bed & Breakfast and Retreat Centre, which has been in operation since 1997. 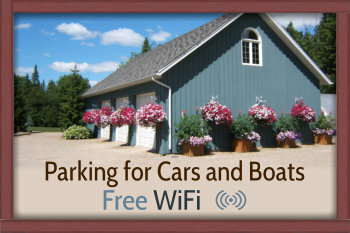 All rooms of the B&B are on the main floor and are therefore very accessible for handicapped people and the elderly. It has four private bedrooms, each with its own bathroom. The rooms are themed: you can either stay in the Stable, the Garden, the Chicken Coop or the Dog House. The Family Room is so big and the ceiling is so high that it almost feels like a small church. When Bert and Marilyn bought the lot it basically was just one big forest. You could not even drive your car onto it. The property was advertised in a local paper as “river front”, but the river proved to be a little further than anticipated. The first time they walked to it, they spotted a deer. Bert and Marilyn saw this as a good sign and immediately fell in love with the location. They never looked back since and they worked hard to create a little heaven just outside the town of Belwood. Their place really is magnificent. Bert’s passion is gardening and it shows. Huge flowerbeds make the garden an oasis of serenity full of colour and lovely scents. Originally Bert and Marilyn intended to start a retreat centre, where people with a terminal illness or their caregivers could have a break from the daily struggles in their lives and find peace in the beauty of nature. They got this idea after volunteering many hours at a number of hospices in the Greater Toronto Area where they visited people who suffered from AIDS. They recognized the need for a retreat not too far away and decided to create one. The only deviation from their plan was adding a Bed & Breakfast to the mix. What Marilyn likes most about running the B&B is being able to welcome people from all over the world. They all bring their own stories, and languages – forcing everybody to play Charades, which can lead to funny situations! Marilyn and Bert always enjoy breakfast with their guests, and many a guest has become a good friend of the Peel’s. If you are looking for a tranquil B&B, Retreat for ill people and/or their caregivers, or even a Corporate Retreat or meeting space (wandering through the gardens can really clear your mind in between meetings! ): give Bert and Marilyn Peel a call at 519-843-9982 or complete our contact form.